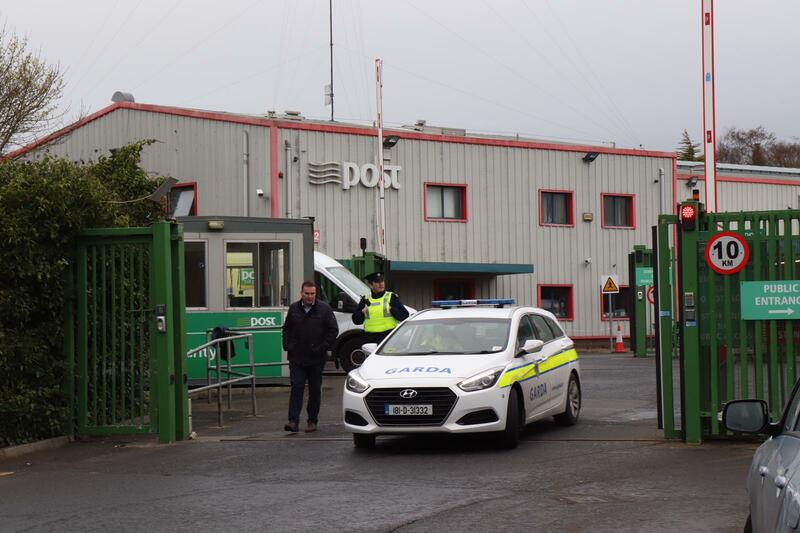 GARDAI say a suspicious package which was discovered at the An Post sorting depot in Limerick city this Friday "appears to be identical" to the parcels which were discovered in London and Glasgow earlier this month. The package has now been removed from the scene and will be examined by gardai and members of the Defence Forces who attended the scene for a number of hours. Gardai at Henry Street requested the assistance of the bomb squad following the discovery of the package at the An Post sorting office on the Dock Road shortly after 6am. A spokesperson for An Garda Siochana said: "This parcel appears to be identical to parcels (pending closer forensic and ballistic examination) discovered earlier this month in London and Glasgow." In an interview on RTÉ Radio, the Minister for Defence Charlie Flanagan also confirmed the similarities. Mr Flanagan told Today with Seán O'Rourke that he has information that suggests the discovery is linked to those in the UK. Mr Flanagan added. "I have to say that the sending of incendiary devices or letter bombs like that is a totally unacceptable act and I would hope that those responsible could certainly be brought to justice. I know that gardaí are actively engaged as we speak." Gardai say they will continue to liaise with the UK Authorities in relation to the investigation into the discovery of the package in Limerick. "An Garda Síochána will not be making any further comment at this time." The sorting depot was evacuated following the discovery but some some staff returned after the all clear was given shortly before midday.